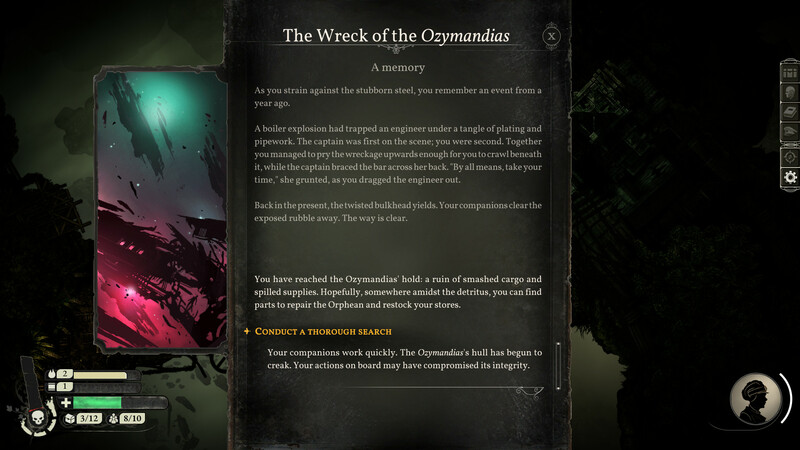 Sunless Skies from Failbetter Games is leaving Early Access on January 31st and it recently had a pretty big UI overhaul. Note: My copy was provided by GOG. What is Sunless Skies? Well, it's a Gothic horror RPG where you're the captain of a locomotive that travels through space. 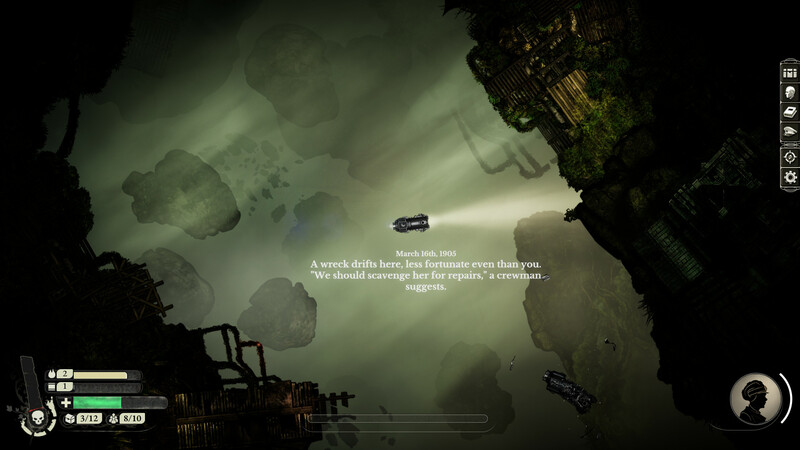 The game has an exceptional atmosphere, with a heavy focus on the narrative and exploration. If you're interested in more design details about the UI work, they made this post on Gamasutra about it. To round out the game, they've also finished up player weapons to include mines, rockets and exotic weaponry. Docking is no longer automatic, so you need to be a little bit more careful which naturally means I crash into everything possible when trying to get into position. One of their stretch-goals from the original Kickstarter is finally in too with the smuggling feature, along with the ability to have hidden compartments on your locomotive which sounds fun. For those who haven't played it in some time, you will be shocked at just how different it feels. The opening section is completely different too, with some light tutorial elements and it feels drastically better overall as a much better introduction to the game. Compared to when I last played it, I hardly recognised it. Once you do that, it will have no graphical distortions and it does run very nicely. Really pleasing to see another game funded on Kickstarter come along so well, the light at the end of the tunnel is almost here. Proud to have backed this one on Kickstarter. Failbetter Games have listened to the requests of Linux gamers, and already ported Sunless Sea to Linux. So they could take their experiences to bring us Sunless Skies on Linux too. Very nice to see this Kickstarter project being successful. As they are coming closer to release, if streamers are reading this, there is a 10k challenge coming up, where Failbetter games is donating £1 for each minute streamed on release day, up to £10.000. On that page is a link to the streamer pack with everything you need. Let's help this charity, shall we?